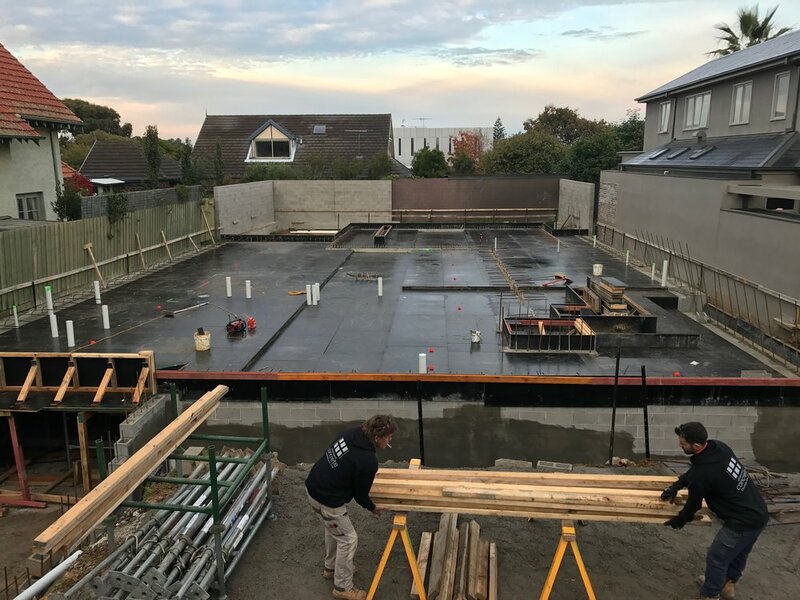 When building a suspended slab its best to prepare as much of the services and penetrations as possible without having to drill through later. In the pictures below you can see pipes and duct work for plumbing, electrical and airconditioning. Here is where I share some building tips and methods we are using during construction of architecturally designed homes around Melbourne. The homes include Basements, Swimming Pools, Lifts, Concrete feature walls and floors plus other interesting design features that will pop up along the way.